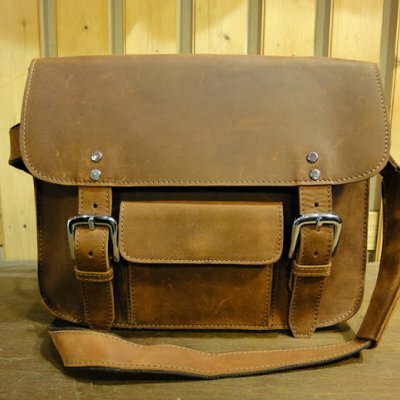 Brown West Messenger Bag made with full grain leather – will develop a nice patina with wear. Features: 1x external front pocket – 1x external back pocket; fabric covered interior; heavy duty rivets and buckles; adjustable leather shoulder strap lined with fabric for comfort. Specs: L 38 x H 29 x 8cm.